With just 8 days remaining before the World Cup, almost all focus is directly pointed at Brazil. However Adidas chose to shift that focus for a short while and shine some light on the newly declared Champions League winners. 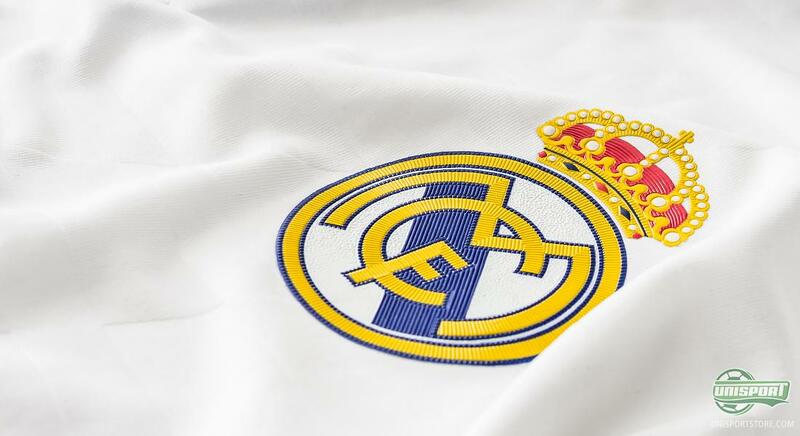 The German brand unveiled the new Real Madrid shirt this Monday evening and we have taken a look at their new home-shirt. Real Madrid have had a very memorable season, because after 12 years of waiting they have finally lifted the trophy with the big ears again. 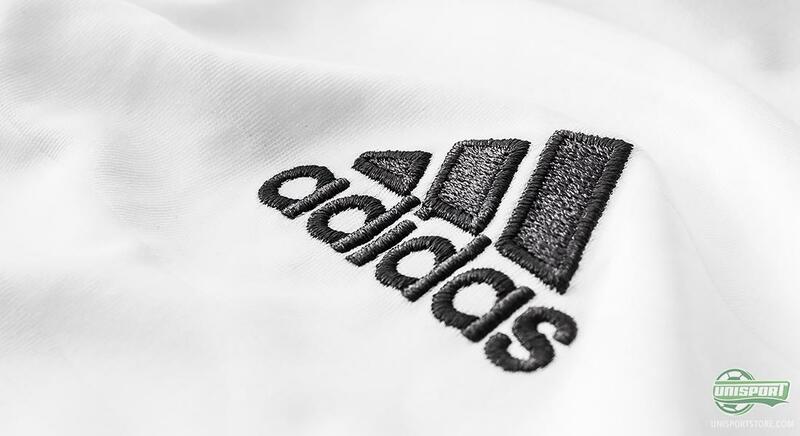 The King Club from Madrid can hardly wait to kick-off the new season and now Adidas have given them even more reason to look forward to the new season, with the introduction of both their home and away-shirt. Pre-order the new Real Madrid home-shirt here – just €78. 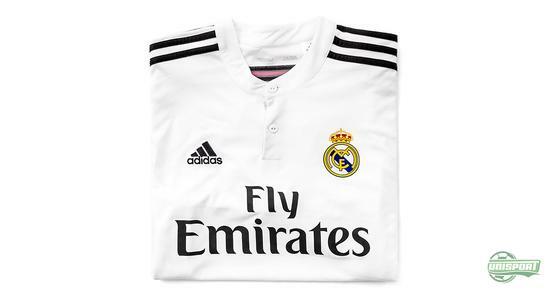 Adidas have been responsible for Real Madrid’s shirts since 1998, where they took over from Kelme and since then they have continually brought out amazing shirts every year. This years shirt is no exception, albeit one of the more controversial Real shirts in recent times. 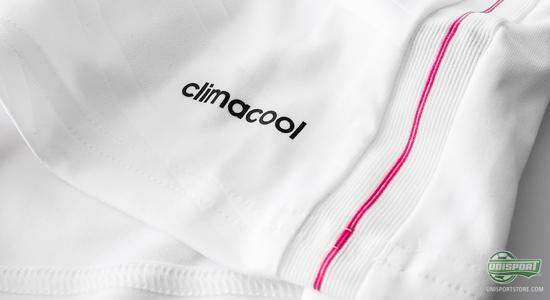 Adidas have added a sharp pink colour, which brilliantly contrasts the classic white kit. 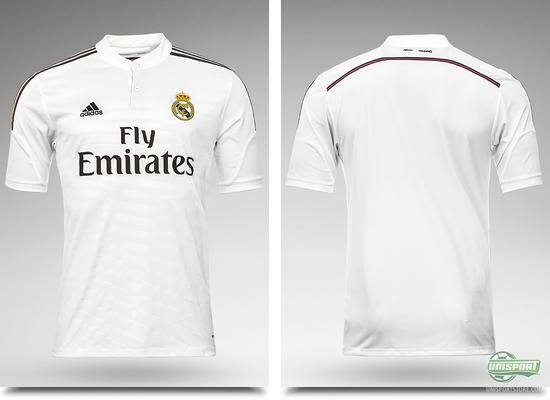 The home-shirt is still mostly white and at first glance appears completely classic and stylishly clean. The three well-known stripes from Adidas run along the shoulders and down the arms, to keep the clean style we know and love from Adidas and Real Madrid. 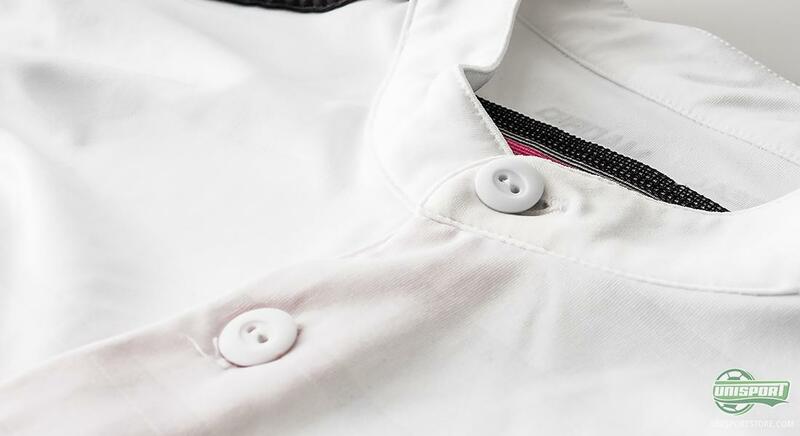 The collar is also made with a classic design, with two buttons that contribute to the shirts classic look. Pre-order your new Real Madrid shirt here – just €78. Moving away from the classic features now, we take a look at the more alternative additions. 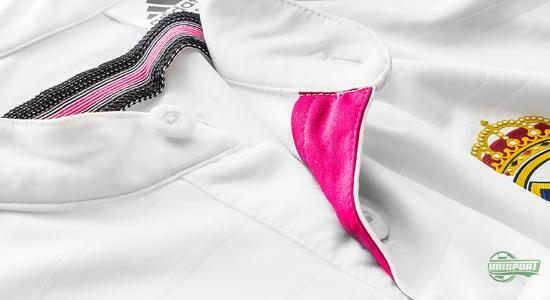 Adidas have surprisingly added a pink line running up each side of the shirt, as well as one across the back. What’s even more controversial is that Adidas have given the iconic crown logo the same pink shades. 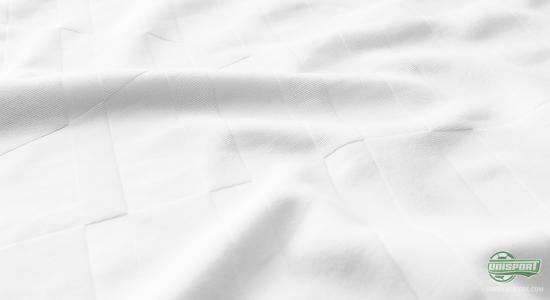 If you go even closer to the shirt, you realise that it is made with a patterned texture that gives a little added spice to the shirts design. 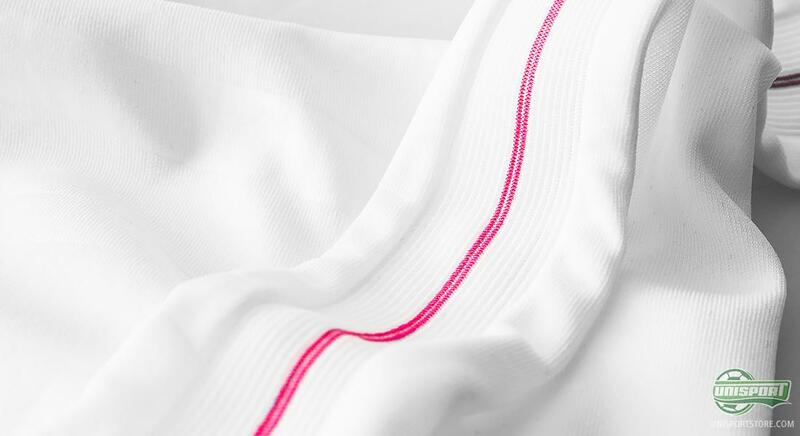 The new shirt therefore really takes first place, when it comes to combining a classic look, with a modern design. You would think Cristiano Ronaldo is very pleased with the prospect of defending his Champions League trophy in this new shirt. The shirt is naturally also developed with Adidas’ ClimaCool material that makes sure players are always kept comfortable in the shirt. This technology diverts sweat away from the body and shirt. At the same time the shirt distributes air around the players body, so you always keep your cool, especially under pressure. 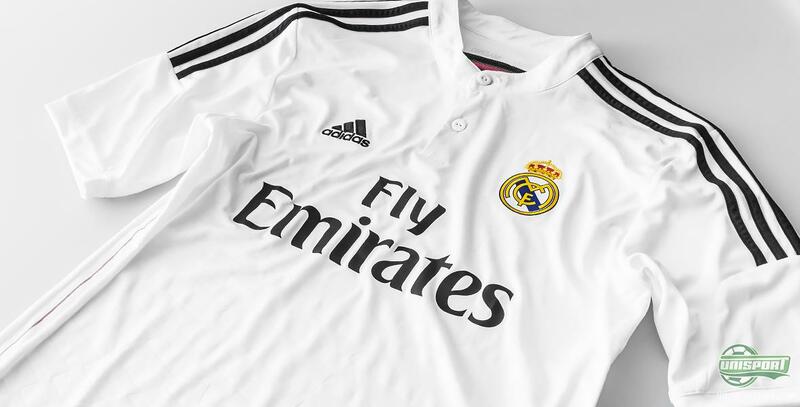 Pre-order the brand new Real Madrid shirts here – just €78. 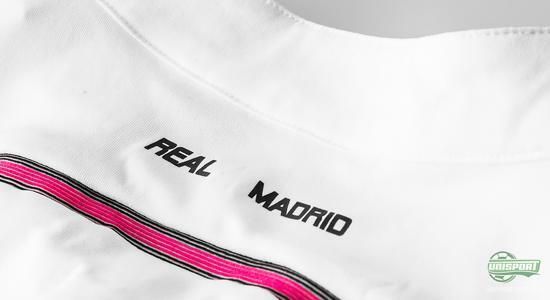 Adidas have been very brave, when designing the shirts for the current Champions League holders, with a twist of pink. This has also come the way of the logo and this change is probably the most likely to divide opinions. Otherwise we expect this shirt to be universally accepted as yet another fantastic addition to the Real Madrid family. What do you think about the new shirt?